Some may know him as “Pastor,” others as “Elder T” and still others as a beloved husband, father, and loyal friend. Many know him as a man of God. No matter your point of reference, there are few places you will travel in Frederick County without hearing the name of Pastor Rollins. Edward James Rollins, Sr., was born August 10, 1959, and raised in Frederick County Maryland. He graduated from Governor Thomas Johnson High School. Pastor Rollins has been married to his lovely wife, Evangelist Vernia L. Rollins for thirty-nine years. Together they have two sons, Edward Jr., and Darrien Thomas (deceased), and a daughter-in-law, Tawanda Green-Rollins. He has been employed with the Frederick County Public Schools for over 38 years. God has enlarged his territory, both spiritually and naturally. He was ordained as a Deacon in August of 1979, received his calling into the ministry and was licensed to minister in August of 1989. Pastor Rollins served and later received his Elders Credentials and was ordained on August 9, 1995, under the Kings Apostle Holiness Church of God, Inc. It was under this great conference that he obtained his training, exposure and guidance under the late Bishop Eugene Baltimore, College Bishops and Elder Herman T. Lewis. He furthered his religious education by attending the Frederick School of Religion and other studies. Pastor Rollins served in the KACWM conference as Vice Youth Moderator from 1992 to 1997 and as Youth Moderator President from 1998 to 2002. Pastor Rollins has also served as Parliamentarian for the Holiness Ministers Alliance of Maryland, Virginia and Washington, D.C., and surrounding areas. As Youth Minister, Pastor Rollins expanded the Thomas Tabernacle congregation from a predominantly African American community to include multi-ethnic, multi-racial members. He is continually seeking to improve his understanding and increase his collaboration, as he develops the youth ministry. 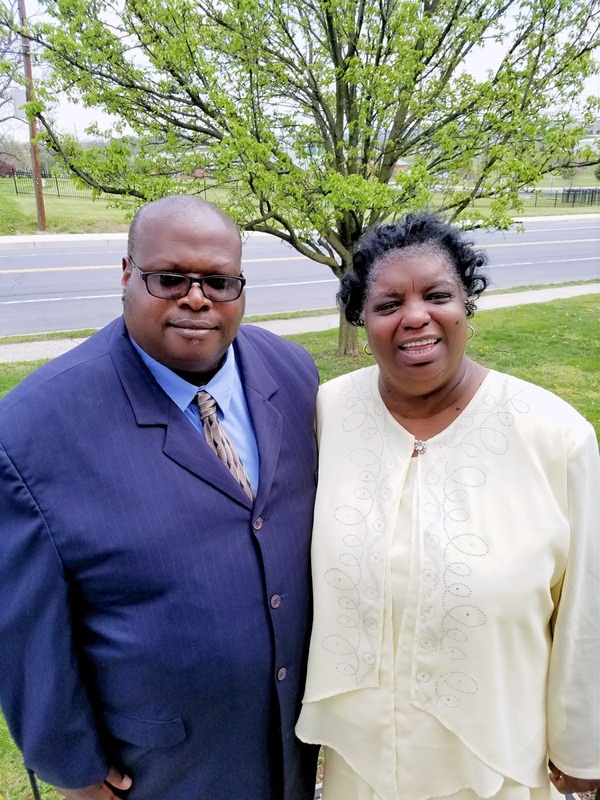 On August 14, 2014, he was chosen by the late Apostle Roger E. Rollins to take up the mantle as Pastor of Thomas Tabernacle Holiness Church of God, Inc. Pastor Edward J. Rollins, Sr., continues to make an indelible mark for the Kingdom in Frederick, Maryland, and surrounding communities. Pastor Rollins has performed as Job Site Coordinator for the Work Force Service Agency for the Youth Summer Job program for the past nineteen years. He also worked closely with the Special Needs program for problem youth. Pastor Rollins also serves on the board of Nuestra Casa Del Pueblo (our house for all people) and LUP, both Hispanic organizations dedicated to providing services to the growing Hispanic community serving Frederick County and surrounding areas. This underscores his commitment to creating bridges between the African American Latino communities in Frederick, Maryland. In January 2004, he was asked to serve as Job Site Coordinator for the community service students with the Department of Juvenile Services, completing over 1,000 volunteer service hours and supports the needs of various youths of all cultures. In May 2011, Pastor Rollins received the Human Relations Award from Frederick County Human Relations Commission in recognition of his outstanding contributions in advancing diversity in the workplace. God has increased his administrative and organization skills and has expanded Pastor Rollins’ area of ministry. Pastor Rollins is a sought-out dynamic preacher/teacher within the spiritual and business community who leaves you with a very visible, living word from the Lord. A mentor, spiritual father and friend to many youth and adults in and out of the Church.